FREE 8x10 Collage Photo Print! Yay! 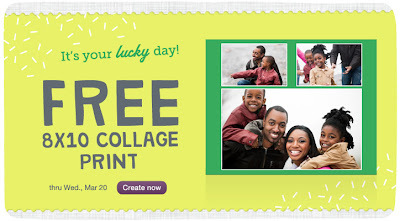 Head over to Walgreens Photo to score a FREE 8x10 collage photo print! All you need to do is create your collage and use the code COLLAGE4FREE at checkout. Select store pickup so you don't have to pay for shipping. Code expires 3/20/13.